When the Pilll was introduced in 1960, it was simple to use and nearly 100% effective. To many women, it seemed like the perfect contraceptive. Early on, however, women taking the original 10-milligram high-dose pill suffered from a wide variety of side effects. Most complaints were mild, such as nausea, bloating, weight gain and depression. Many women willingly suffered these ailments in exchange for such highly effective birth control. What few realized was that the available formulation of the Pill also posed potentially life-threatening health hazards. Less than two years after the U.S. Food and Drug Administration (FDA) approved the Pill, word began to filter into the inner circle of the FDA and the drug companies of more serious side effects. There were reports of blood clots, strokes --and possible links to cancer. As early as 1962, the manufacturer of the birth control pill Enovid, G.D. Searle and Company, received reports of 132 cases of blood clots in Pill users. 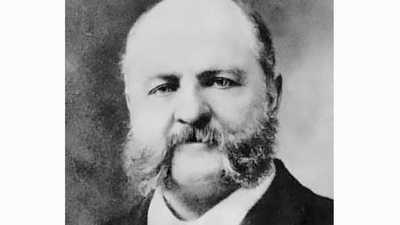 Eleven of the cases resulted in death. Searle maintained that there was no conclusive proof that the Pill caused those deaths, and the FDA assured doctors the drug was safe. From the very beginning, a significant number of women complained of discomfort from the Pill and switched to other methods. When women wanted to discuss the side effects with their doctors, they often met with frustration. It was common for their complaints to be dismissed as exaggerated. In other cases their ailments were just considered the price that women had to pay in return for such an effective contraceptive. When it came to the more serious health risks associated with the Pill, the problem grew more complex. Gynecologist and obstetricians were not always aware of dangers associated with the new drug. Neither the drug companies nor the FDA provided doctors with much information on potential side effects due to the Pill. Most problematic of all was the fact that the gynecologists and obstetricians prescribing the Pill were not seeing a lot of patients with serious side effects. It wasn't that these patients didn't exist. But when womens' symptoms seemed unrelated to their reproductive health, they turned to other doctors instead. Unaware that their problems were due to the Pill, most women with serious non-reproductive health problems went to see medical specialists. Someone with blurred vision would be referred to an opthalmologist. A woman experiencing depression would see a psychiatrist. Those suffering from strokes were treated by neurologists. These patients in turn seldom told their prescribing doctors about their treatments for conditions not directly related to their reproductive health. And in the early years, the specialists caring for these women were not aware of the Pill's dangers either. In some cases, doctors may not have even asked patients if they were on the Pill when they took case histories. It didn't seem relevant. With so little information-sharing between patients, gynecologists and specialists, doctors were slow to see the link between Pill use and serious side effects. During the second half of the 1960s, major newspapers started reporting on the problems with the Pill, but aside from some inconclusive FDA probes, little action was taken to investigate the problem. It took the publication of A Doctor's Case Against the Pill, a groundbreaking book by feminist journalist Barbara Seaman, to bring awareness of the Pill's dangerous side effects to the attention of the medical establishment, government and general public. Influenced by Seaman's book, U.S. Senator Gaylord Nelson convened Senate hearings on the safety of the Pill. The male-dominated hearings became a platform for radical feminists to demand that women taking the Pill be informed of all the drug's potential dangers and side effects. 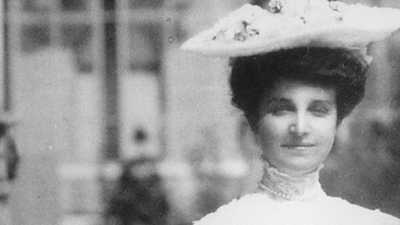 Katharine McCormick provided almost every single dollar necessary to develop the oral contraceptive. 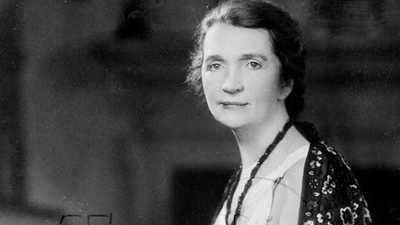 Margaret Sanger devoted her life to legalizing birth control and making it universally available for women.